The IGrow team’s key objective is to help ordinary South Africans achieve financial freedom through property investing. The IGrow Wealth Group provides services that include education in property investment, financing, risk management, accounting, structuring, the administration of trusts, rental management and financial planning. We welcome you to a new way of thinking about retirement, money and investing in property. Learn the critical skills you need to invest in property and build a portfolio. The world’s most powerful property analysis tool. The IGrow Wealth Plan is an in-depth analysis and roadmap showing how you to achieve financial freedom through property investment. You are invited to a free, no-obligation property investment consultation and strategy session with one of our highly qualified real estate investment strategists. If you are looking to invest in property or starting your own buy-to-let portfolio and running it as a really profitable business, then you’ve come to the right place. Should you sell your investment property? A decision to sell a long term asset such as a property can sometimes be a challenging decision for an investor, more so for a novice investor. “Every property investor will be confronted with this question at some point in their investment journey. Therefore, knowing when to sell or hold your investment property is essential when building a portfolio,” says Praven Subbramoney, CEO of Private Bank Lending at FNB. “Due to the long-term nature of the property investment journey, the general rule is that property should at least be held for five to ten years to allow the investor enough time to study market conditions and further assess the viability of their portfolio,” he adds. Exit strategy – some investors venture into property having already developed an exit plan, which consists of selling the properties and using the funds for alternative business interests. Recycling equity – this involves selling a property and using the equity to buy a better performing one.When going for this strategy, it is essential to take into account the costs involved in selling and acquiring a new property and whether the returns will be better in the long-term. Poor performance – if a property fails to provide good rental yield and capital returns for at least five to 10 years, it may be considered to be performing poorly and eventually sold. Diversification – property investors may sell some of their properties to unlock capital and diversify their financial risk into another asset class, such as listed equities. Deteriorating neighbourhood – selling property due to unfavourable changes in the neighbourhood is common for inexperienced investors who did not conduct proper research when acquiring the property. This could also have been the investor’s former place of residence, which they decided to rent out after moving out. Life changing events – major life changing events like getting married or having children may lead investors to sell their properties and seek a new direction in life. Market timing – new investors who do not adequately understand how the property cycle works may be tempted to sell when market conditions seem unfavourable. 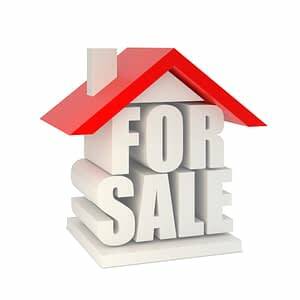 “There are many circumstances and underlying factors that may lead you to consider selling or holding your investment property. The decision should ultimately be based on your current circumstances, investment strategy and what you aim to achieve,” concludes Subbramoney. Receive property investment opportunities and investment news directly to your inbox. By submitting your details via this online form, you agree to be contacted via email by the IGrow Group in relation to its property investment brands.